Catechumens - USA: Blessed Junipero Serra: "All my life I have wanted to be a missionary. I have wanted to carry the gospel message to those who have never heard of God and the Kingdom he has prepared for Them." Blessed Junipero Serra: "All my life I have wanted to be a missionary. I have wanted to carry the gospel message to those who have never heard of God and the Kingdom he has prepared for Them." On July 1, we honor Blessed Junipero Serra, a Franciscan priest and missionary, who converted thousands of native Americans. 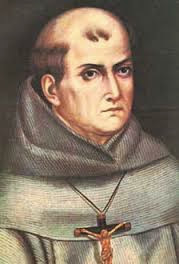 Miguel Jose Serra was born on the island of Majorca (Spain), on November 24, 1713, and took the name of Junipero in honor of Saint Juniper, who had also been a Franciscan and a companion of Saint Francis of Assisi. In 1730, he entered the Franciscan Order and was ordained seven years later. A brilliant man who had earned his doctorate in theology, he taught philosophy and theology at the University of Padua for two years.At the age of thirty-seven, he arrived in Mexico City on January 1, 1750, and spent the rest of his life converting the people of the New World. When Father Junipero Serra founded California's first mission in 1769, he was 56 years old and asthmatic, with a chronic sore on his leg that troubled him for the rest of his life, and he suffered frequently from other illnesses, as well. He stood just 5 feet, 2 inches, and, as a journalist later wrote, "He certainly didn't look like the man who would one day be known as the Apostle of California." Yet he endured the hardships of the frontier and pressed forward with remarkable determination to fulfill his purpose: to convert the Native Americans of California to Christianity. In pursuit of that goal, Father Serra walked thousands of miles between San Diego and Monterey and even Mexico City. He traveled the seas, also; and by the time he died August 28, 1784, in Carmel he had founded nine missions, introduced agriculture and irrigation techniques, and the Spanish language. He had battled governors, bureaucrats and military commanders to secure a system of laws to protect the California Indians from at least some of the injustices inflicted by the Spanish soldiers whose practices often were in conflict with Father Serra's. He spent 17 years in missionary work in the Sierra Gorda in the present area of North-Central Mexico. In 1767 he became president of the 14 missions in Baja California, originally founded by the Jesuits, then turned over to the Franciscans. At that time, faced with the threat of Russian colonization from the north, Spain had committed itself to pushing northward into what is now the American state of California. Russian America (Alaska) was only 800 miles away. Spain feared that Russia would push south and gain a firm foothold in Alta California. The Spanish military launched an expedition into California in 1769 under the leadership of Gaspar de Portola. Father Serra set out with them to establish missions. Serra's blessing of the site of Mission San Diego de Alcala on July 16, 1769, marked the beginning of the European settlement of California. Between the years of 1796 and 1784, Father Serra made six voyages by sea totaling 5,400 miles. He traveled by land the distance between Monterey and San Francisco eight times, Monterey and San Antonio 11 times, His longest journey by land was from Monterey to Mexico City. In total, he traveled well over 5,500 miles by land. Father Serra arrived at Monterey aboard the sailing ship San Antonio on June 1, 1770. He celebrated the first Mass on June 3, 1770, on the shore of Monterey Bay, where we now find the city of Monterey. He returned to San Diego to work on the mission there, then founded Mission San Juan Capistrano in 1776, the year of the American Declaration of Independence. When Father Serra died in 1784, he had established nine California missions and baptized 6,000 Indians, about 10 percent of the California Native American population. Those nine missions grew to 21. Today, more than 60 percent of the state's nearly 26 million people live in areas surrounding the missions, and El Camino Real, the road that Father Serra traveled on a tour of the missions shortly before this death, established a major artery running much of the length of the state. 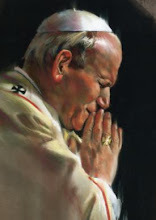 He was beatified September 25, 1988 by Pope John Paul II. "All my life I have wanted to be a missionary. I have wanted to carry the gospel message to those who have never heard of God and the kingdom he has prepared for them." O God, Who wills not the death of a sinner, but rather that he be converted and live, grant we beseech You, through the intercession of the Blessed Mary, ever Virgin, Saint Joseph, her spouse, Blessed Junipero Sera and all the saints, an increase of laborers for your Church, fellow laborers with Christ to spend and consume themselves for souls, through the same Jesus Christ, Your Son, Who lives and reigns with You, in the unity of the Holy Spirit, God forever and ever. Amen.